Electric vehicles are all over the news, with sales sky-rocketing in the last couple of years. 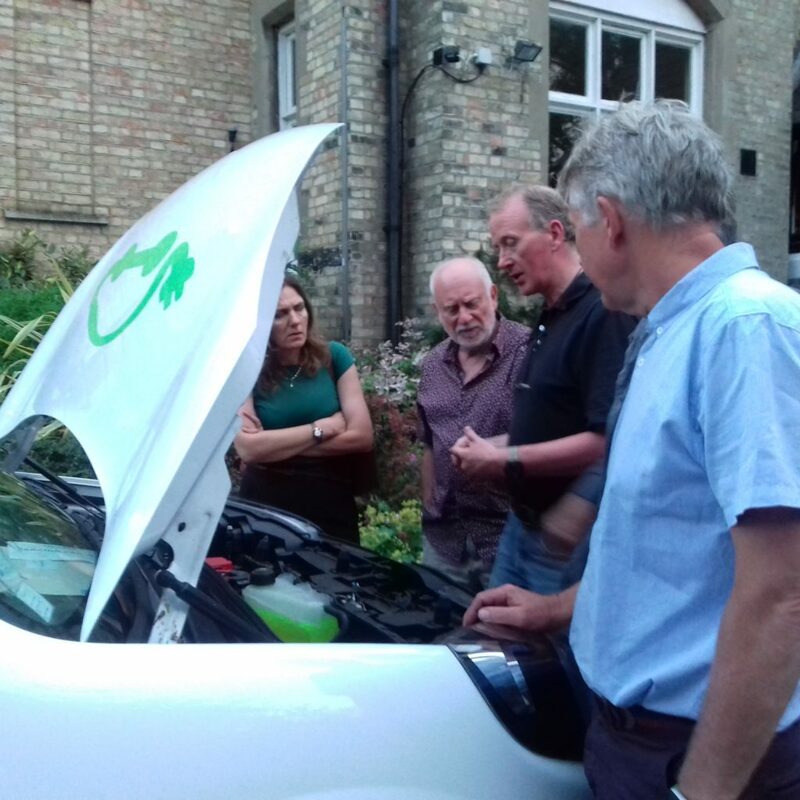 On July 17th we had an excellent evening discussing electric vehicles with speakers Sydney Charles and Friedbert Meinart. Sydney has been conducting research on electric vehicle policy in London and Haringey and Friedbert is an expert in all things electrical who owns a Nissan Leaf and a state-of-the-art electric bicycle. You can find Sydney’s slides from the talk here and Friedbert’s talk here. And here is a link to a video on lamp post charging, shown at the talk. Haringey are promoting the use of electric vehicles in the borough – find out more here.